Travis Vader, once accused in the murders of missing Alberta seniors Lyle and Marie McCann, says RCMP "destroyed" his life with an investigation that kept him jailed for more than four years. Travis Vader, once accused in the murders of missing St. Albert, Alta., seniors Lyle and Marie McCann, says the RCMP "destroyed my life" with an investigation that kept him jailed for more than four years. He spoke to reporters Wednesday night on an Edmonton sidewalk where he had been dropped off by corrections staff after he was found not guilty earlier in the day of firearms charges not related to the case involving the McCanns. When he addressed the media, Vader was waiting to be picked up by family members, standing with belongings that included a box of legal documents. 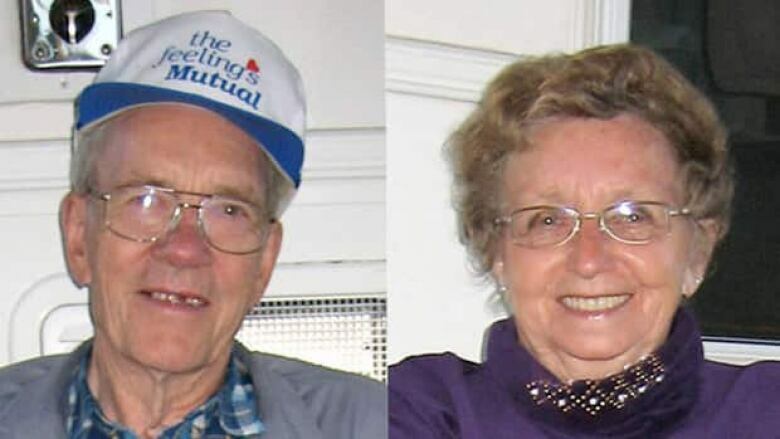 Lyle and Marie McCann were last seen on July 3, 2010. Murder charges against Travis Vader were stayed, but he spent four years behind bars on unrelated charges and was just released Wednesday. "What they've done to me? Probably destroyed my life. A witch hunt. Put me in jail for four years to investigate me when there was nothing there to begin with. If there was, I wouldn't be here right now." Earlier Wednesday, Vader was found not guilty of all nine unrelated theft, drug and firearm charges that kept him behind bars even after the first-degree murder charges were stayed earlier this year. Vader said he knew nothing about the McCanns other than what was reported in the news. He said it feels "horrible" to think people believe he is responsible for their deaths. “What do my children think? What they went through? It’s not me. It’s my family. What they’ve been through." He was also asked about the McCann family. "What do I say to the McCann family? My heart goes out to them, it really does. Truly. I can't imagine what they went through. "But I think that at the end of the day, when this is all brought to light, you'll see what the RCMP did to them." Last spring, Vader filed a $1-million wrongful prosecution lawsuit against the RCMP, Crown prosecutors and jail guards. Vader said he hopes to return to his old job as a drilling consultant. Vader's lawyer, Nathan Whitling, said it was unfortunate that his client had to spend so much time in custody, only to have been found not guilty. He said Vader now plans to live with his family and resume his life. "Mr. Vader has directed me to say that he is not a threat to anyone, he’s not a threat to Alberta or any member of the public," Whitling said. "His intention is to get his old job back and to live a very quiet life." The McCanns were last seen alive in July 2010 at a gas station in their hometown of St. Albert. The seniors were on their first day of a road trip to British Columbia. Their burned-out motorhome was found two days later in a remote area near Edson, Alta. Their bodies have never been found. Vader was arrested on outstanding warrants not tied to the McCanns' disappearance on July 19. On Aug. 31, 2010, he was named as a suspect in the case, but murder charges were not laid until April 2012. The murder charges were stayed against Vader on March 19. The Crown has one year from that date to reactivate the charges. However, Whitling believes that it would be "highly unusual" if that happened.